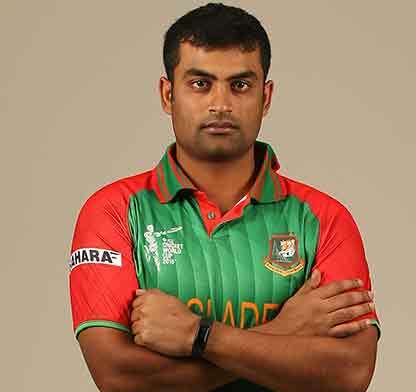 Dashing opening batsman of Bangladesh National Cricket team Tamim Iqbal is likely to play in the ongoing Asia Cup against Pakistan on Wednesday. The hard-hitting Batsman from Chittagong will replace celebrated off-cutter Mustafizur Raman who suffered injury in the last match against Sri Lanka on Sunday. Tamim, who was on parental leave from February 20, returned home from Thailand on Monday and joined the team practice session in Mirpur. The 26-year-old cricketer, Tamim, became father on Sunday as his wife Ayesha Siddiqua has given birth to a baby boy at a Bangkok hospital in Thailand.